For most people, Spiti and Ladakh are a dream trip they wish to undertake at least once in their life. And for a vast majority of people, it is nearly impossible to take multiple long leaves. So when they start planning for Ladakh, they also think about adding Spiti to the mix. Most often than not, this results in a rushed or a poorly planned trip, which makes you feel that you couldn’t do justice to either of the places. Today, I will be guiding you on how to plan your dream trip to Spiti and Ladakh and actually enjoy these places and the journey you’re about to take. Irrespective of whether you’re traveling on a motorcycle, your own car, renting a self-drive vehicle or even hiring a taxi, you should be able to follow these tips and undertake this journey through these beautiful Himalayan Kingdoms. How many days do I need for a trip to Spiti and Ladakh? As many as you can muster, a month would be a good bet. However, this isn’t possible for everyone. So for the sake of this blog post, we will be working on a 14-day trip plan (beginning and ending at Delhi). The biggest problem with planning a road trip to Spiti and Ladakh is, you have to wait for all the passes and road to open. Generally, second week of June to the first week of July and then September is a good time to undertake this trip. Plan it earlier than that and there is a chance Kunzum La wouldn’t be open. Plan it in July or August, and monsoon rain can play spoilsport. October is the beginning of the end of the season for a road trip to Ladakh and that is also when the Kunzum La closes. Preparing and packing for the trip. Once you have narrowed down the time you wish to travel at, preparations are in order. I am linking a few articles I have written about preparing for Ladakh, which should help you do, just that. 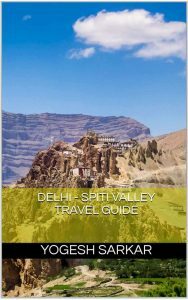 This plan covers the basic circuit of Spiti and Ladakh, there can be plenty of variance to this and you can add a lot of other places if you have the time. 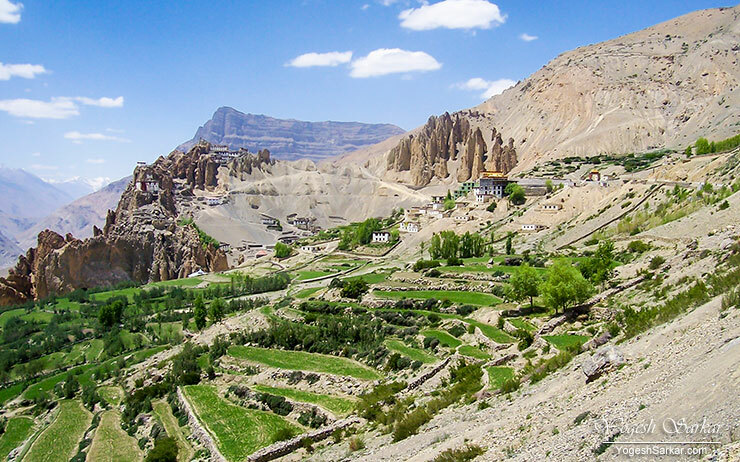 However, this 14-day trip plan for Spiti and Ladakh ought to be good enough for vast majority of travelers, as it is neither too hectic nor skips out on any of the major sights. Day 1, Delhi to Sarahan: This is going to be a long day, so it is a good idea to start in the wee hours of the morning from Delhi. Route to Sarahan is simple and straight forward enough and even though Sarahan is a detour from the main highway, Bhimakali Temple and the views make the detour worth the extra effort. Make sure to tank up at the petrol pump at Rampur Bushahr or from the fuel pump before Jeori. 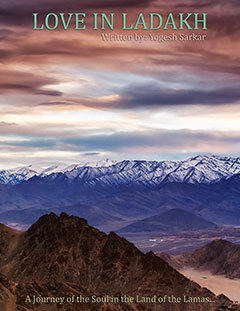 Day 2, Sarahan to Nako: After a fairly long drive from Delhi to Sarahan, there is no time to laze around. Get up early in the morning and visit the beautiful Bhimakali Temple before beginning your journey towards the Spiti Valley. En route to Nako, you will find petrol pump at Tapri and Powari, these are the last fuel pumps before Kaza, so make sure you have enough fuel for rest of the 200+ km long journey. You will be stopping for the night at Nako, which is a small village nestled around the beautiful Nako Lake. Alternatively, you can travel to Chango or Sumdo and spend the night there. Day 3, Nako to Kaza: Today is the first day of major sightseeing. While the distance to Kaza isn’t too much. You will be taking a detour to Gue Village to see the mummified remains of a Lama, sitting in a meditating pose. You will also be visiting Dhankar and Tabo Monasteries, which are beautiful and ancient monasteries. There is also a detour to Pin Valley I have mapped below, where you can visit the beautiful Mud Village and Kungri Monastery. Though if you’re getting late, you can skip Pin Valley and head straight for Kaza. Make sure to tank up, as soon as you reach Kaza. Day 4, Kaza to Chandertal: Although the distance doesn’t look like much. However, the journey from Kaza to Chandertal, covering Key Monastery and Kibber Village is breathtaking, views and terrain wise. Especially since beyond Losar Village, there is no road. So make sure your fuel tanks are full (no fuel pump till Tandi) and you’re ready for really high and cold ride/drive to Chandertal. In fact the road is so bad, Google doesn’t even list the road to Chandertal as a road. It is a trail for which you have to take detour before Batal. Camps are available 3km before Chandertal. Further ahead, parking for the lake is kilometer before Chandertal and you will have to trek rest of the distance, but, it is worth it! Day 5, Chandertal to Jispa: Although Google Maps will show really short distance and extremely less travel time. Make no mistakes, today is going to be a long and hard day. Road conditions will be the worst you will encounter on the entire route. So make sure to start well before noon, after visiting Chandertal in the morning. Plus you need to reach as early as possible to Jispa, because next day is a long tiring day as well, with around 12 hours of drive/ride to Leh. Make sure to tank up en route at Tandi petrol pump, which is the last one you will encounter until Karu, 30 km before Leh. Day 6, Jispa to Leh: Getting up and starting early from Jispa is essential since weather, as well as the force of water crossings, gets worse as the day progresses and driving after dark is a huge risk. So my advice to you would be to start at 5 am from Jispa and reach Leh just before dark, since the ride/drive will take 12 hours or more. You have the option of staying at Rumtse after crossing Tanglang La. However, the road from there to Leh is fairly good and the journey won’t take more than a couple of hours. Day 7, Leh local sightseeing and getting a permit: After 6 days of a nonstop journey through the Himalayas, you deserve a break. Today is just that. The only agenda is to get the Inner Line Permit made for Nubra Valley and Pangong Tso. Then you can also visit Shanti Stupa, Leh Palace, Tsemo Gompa and Main Market. But unwinding and getting your vehicle checked is the priority for the day and you can even outsource the permit thing to your hotel staff or a travel agent. 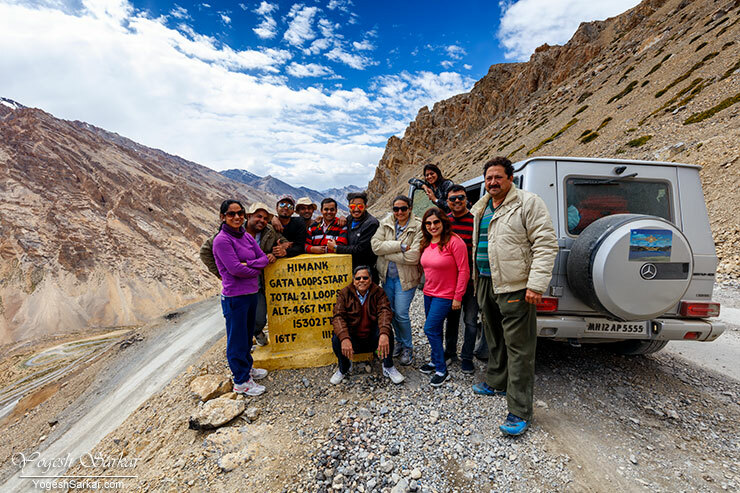 Day 8, Leh to Nubra Valley: After a day relaxation in Leh, it is time to make your way to the highest motorable road in the world, Khardung La and enter the beautiful Nubra Valley. 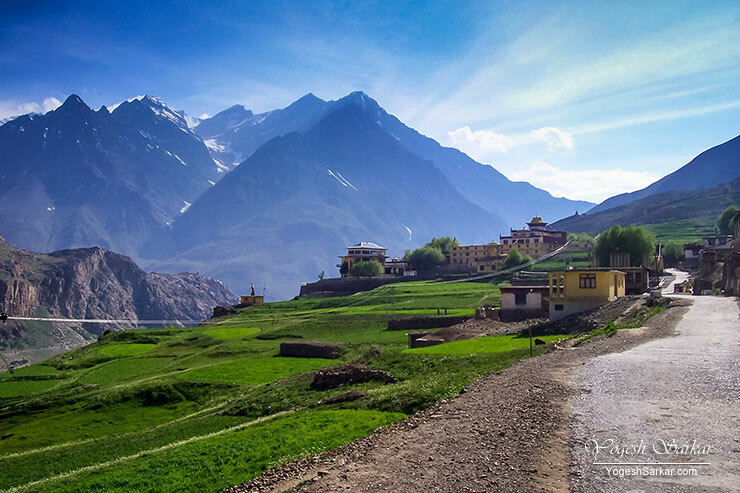 Once you enter Nubra Valley, head to Sumur Village to see the beautiful monastery there. Then you can drive/ride to the Panamik Hot Springs to either enjoy an expensive hot spring bath or marvel at the view you get from their parking lot (which is free.) After a while, it is time to turn back around and head to Hunder Village, where you will be spending the night. Day 9, Nubra Valley to Pangong Tso: Today is sort of a long day as well. Mainly because from Hunder, you will be first visiting the Sand Dunes and then the Diskit Monastery (well just the Maitreya Statue), before taking the Agham – Shyok route to Pangong Tso. There is a fuel pump at Diskit and fuel is also available in black at Diskit, Shyok and Durbuk Villages, in case the need arises. The road isn’t the smoothest, though having been through Losar – Gramphu and Chandertal, you won’t find it too difficult. In case it is closed due to a landslide (check beforehand with drivers in Diskit and Khalsar), you can take the Wari La route to Pangong Tso. However, it would be longer. Day 10, Pangong Tso to Leh: After a longish day yesterday, you can somewhat afford to chill a bit along the shores of the lake beautiful, Pangong Tso. You can even drive up to Merak Village for some tourist free views of the lake, if you want. Around noon, head back to Leh. En route you can stop at Hemis, Thiksey or Shey Monasteries if you desire. Sunset at Sindhu Darshan Point just after Shey is beautiful as well. Day 11, Sham Valley tour: Today is your last day in Leh, hence it is best to just take it easy. Doing a sightseeing tour of Sham Valley (Hall of Fame, Indus and Zanskar Confluence, Magnetic Hill, Gurudwara Pathar Sahib, Alchi and Likir Monasteries.) You can even do rafting at the confluence, if you so desire. In case you’re short on time, you can skip this day at Leh and head back to Delhi. However, my recommendation would be to do this and you won’t have any regrets. Day 12, Leh to Sarchu: It is time to head back home now and get back on the Leh – Manali Highway. While you can start early in the morning and reach Jispa or Keylong by evening. Spending a night at Sarchu is a worthy experience as well. Day 13, Sarchu to Manali: Back to the civilization and beautiful chaos it offers. Day 14, Manali to Delhi: The trip ends. Note for those traveling in taxis, rented motorcycles or self-drive cars. For Nubra Valley and Pangong Tso section, you will have to hire a taxi or rent a motorcycle from Leh. Since vehicles hired from outside Ladakh aren’t allowed to go on this circuit. In case you’re planning to hire motorcycle from Himachal, you will have to leave it at Keylong and take a taxi/bus from there to Leh and hire another vehicle. In case of any trip, the most important thing is to have fun. Don’t travel just to strike off places on a checklist, because then you will just end up running from one place to another, instead of enjoying and exploring the places you’re traveling to. This is really informative and useful blog. Such a fantastic and fabulous post.